Hello and Thank You so much for visiting the Free Bullion Investment Guide. You have made this Ledger page one of the most popular on the Guide which is very inspiring and I cannot thank you enough for your support. I contacted Dr. Corr at the Baylor College of Medicine at the end of last month. There is actually a lot of 'happenings' going on at the moment and were on the verge of getting things announced to the public. Perhaps you should email me the end of April and I can give you a more details summary. We will definitely have a few papers to share as well. Unfortunately, I do not have any research updates for you currently. However, I will fill you in on the details hiding behind Dr. Corr's words, in his email. Dr. Curley, Dr. Corr and their Cancer Research Team are currently awaiting word, from the FDA, about whether or not they have been approved to start "Human Trials" for Kanzius Radio-wave, Gold Nano-Particle Cancer Research. I can tell you that the excitement for those involved is very high, and I am praying to the Good Lord above that the research will be approved. I will keep you updated here and on the news on the homepage of any announcements that are sent my way. Thank You to for your Support, every penny is appreciated! The guide donates at least half of every dollar it takes in, whether it comes from donations, sponsorship fees or commissions it receives from a purchase you make with one our Affiliates. The guide donates this money to Dr. Steven Curley at the Baylor College of Medicine in Houston, TX. Dr. Steven Curley is a Professor and the Chief of Surgical Oncology and the head of the Kanzius Cancer Research at the Baylor College of Medicine, in Houston, TX. His Research uses the Kanzius Radio-wave machine and Gold Nano-Particles to find a better-way to Treat Cancer without Harmful Side-effects. If you know someone who you think would like this website, please forward our link to them: www.free-bullion-investment-guide.com. When I wrote last month's Ledger, I was in the middle of re-building and updating the Johnson Matthey refiner page; the new page was posted before the end of the March. When I was researching the Johnson Matthey page, I came across an article that referred to every troy ounce with ozt. One of the biggest mistakes made among those who are new to the bullion market is that they fail to realize that bullion is weighed in Troy ounces (ozt. = 31.10 grams) and not Avoirdupois ounces (oz. = 28.35 grams). You can read about the differences on the Troy page, of the Guide. So, I have started to replace all the (oz) found throughout the Guide with (ozt. ), I have not been able to make all the changes yet, but eventually they all will be changed to represent troy ounces. I have not done this for some time, but want to fill you in on what to expect to be posted in the very near future. Once I finished the Johnson Matthey refiner page, I started to work on re-building the Heraeus refiner page. I am very close to finishing it which is why I am telling you it will be posted with in a few days. I will start on the 1st Quarter of 2015 page immediately thereafter and I hope to have it up in the next ten to 14 days. In addition, I screwed up on a specific affiliate's links I have been editing for the passed couple months. The affiliate is the BullionVault. However, the mistake has been recognized and I am currently working on getting those links corrected. I look forward to hearing good news from Dr. Corr later this month and I will keep you updated on the "Recent Guide Updates" section, on the right column, about any updated or new pages on the guide. Hello and Thank You for visiting the Free Bullion Investment Guide, I hope everyone had a Happy Mother's Day. On April 29th, I contacted an associate of Dr. Corr, an associate professor to Dr. Steven Curley at the Baylor College of Medicine, to find out if any research papers have recently been released. I was told that Dr. Curley was being honored over the weekend and that I would get an update early this month (May). While I was waiting to hear from them, on Sunday May 3rd, Dr. Steven Curley tweeted my Cancer & Gold Nano-Particles page, below. This caught me off guard, although I have been in contact with Dr. Curley, most of my correspondence with the Baylor College has been with associates of his. After I wrote the page, I never asked anyone for their point of view on what I wrote, but to have him tweet the page is very humbling and inspiring and tells me that the guide is on the right track. After he tweeted my page, I started to directly contact Dr. Curley and I ask him to clear up some issues I had about an article that was released on Sunday, May 3rd -> Kanzius Cancer Funds coming to Lee Memorial. My biggest issue was about Human Trials and when and where would they start. His answer back was they have applied to the FDA and are still awaiting word, however if for whatever reason the FDA does not approve their application, he hoped to start Human Trials next spring in Naples, Italy. From owning stock in some pharmaceutical companies in the past, I am aware of the regulatory hurdles and the time it takes to receive FDA approval. I am also aware that in Europe, regulations on medical trials are not as stringent as they are here, so it may work to their benefit to start the trial overseas, only time will tell. "Yes, we will continue the RF (radio frequency) work with nanoparticles, and we have several papers that were accepted recently. As soon as I get a pdf file of each when it is actually published I will forward it to you." I will keep you updated with any information I receive from Dr. Curley here and on the homepage. In addition, you can also keep up with his work on his new blog here or on his twitter page here. Shortly after writing last month's ledger, I posted the updated Heraeus Refiner page. Then about two weeks after I posted that page, I finally posted the 1st Quarter of 2015 - Charts & Bullion News page. I had hoped to put up the page sooner, but I wanted to post on the page as much information as I could to back up my hypotheses on the Dollar, Interest Rates and Gold's New Trading Range. I also want to let you know that the Guide recently added the Royal Canadian Mint as a new Affiliate. I am currently working on some pages of the guide that I haven't updated for several years, I hope to have them done soon. I notify you of the updated versions of what these pages are on the right side column of the Guide, on the "Recent Guide Updates." Hello and Thank You for visiting the Free Bullion Investment Guide, I hope you and your family had a Safe & Happy Memorial Day. On 5/13, after the last ledger update on 5/11, I posted an article on the Homepage titled: Human Trials on Kanzius Device to Begin in Italy (Note: if you open the article and a subscription offer comes up, you can refresh the page and it should go away). In the article, Dr. Curley gives a full update on how his research is coming along and his plans for the research after Human Trials are approved. Shortly after this article came out, Dr. Curley tweeted that the company that owned the rights to the Kanzius radio-wave machine (AkesoGenX) was replaced by a company called "Neotherma Oncology." The new group backing the RF research is scrapping the name AkesoGenX based on problems related to the former CEO. The company is now called Neotherma Oncology. Same work, just a fresh direction and change in leadership! Furthermore, I also asked Dr. Curley, in the same email, if any new research papers have been published yet. This was his response: We have several papers in review now, once accepted I will forward you a pdf. Although, he did not have any research papers for me to forward to you, Dr. Curley recently tweeted a graphic with the following tagline: "Non-invasive RF field can trigger release of anti-cancer drugs from carbon nanotubes." I look forward to receive the full research paper about this graphic sometime in the future. In addition, when I do get published papers from Dr. Curley in the future, I will also ask for permission to publish the full pdf. file, on the guide, so that you can see the full copy. Shortly after the last update, my uncle, whom I paid respect to on the 11/11/2014 (Veteran's Day), past away. This is why the pages I hoped to have finished shortly after the last update, have not been completed yet. The two pages that I have been working on are the Gold and Silver S&D pages (Supply and Demand). The pages are currently very out-dated, so they need to be updated, badly. However, I want to let you know that I plan to only summarize the information and not post a lot of writing on either of the pages and let the numbers speak for themselves. A few other changes have been made to the guide, besides what has been posted on the "Recent Guide Updates" found on the right column. The biggest update was below the Daily News on the homepage. I changed that area by posting each page in the category that they are in, with a short description of the category and the pages found with in it. In the near future, I intend to start posting under the news between the News and the area that was just updated, my own market commentary, charts of the precious metals with some Technical Analysis. I will indicate on the homepage above the News and below the twitter buttons, when this starts a notice will be posted there and for every update after the first one. There is one last thing, I want to let you know why the Guide's News on the homepage comes out later than it use to. For those who read this ledger regularly, you may remember that my mother fell and broke her leg last November. She is doing much better now, but she fell in the kitchen, she got a little light headed and was twisting to move something and lost her balance. Since that time, to keep that from happening again, I have been making every dinner for both of my parents and they eat between 5 pm and 6 pm, this is why I have been posting later than I was last year and why I will be in the foreseeable future. In addition, Your time on this site is important to me, I don't post the articles on the guide by picking articles from an RSS feed. I read over, watch and listen to each linked article I post to make sure that what I am posting is worth your time. Hello, I hope you and your family had a Great 4th of July. Thank you for visiting the guide, every visit is appreciated. I've been in contact with Dr. Curley's office; but as of this time there is no new research papers that have been published. I've been told that I will receive copies of the research, once it has been accepted and published. I'll keep you up to date. His Research uses the Kanzius Radio-wave machine and Nano-Particles to find a better-way to Treat Cancer without Harmful Side-effects. Shortly after the last ledger entry, I posted the Gold and Silver S&D pages. (Supply & Demand). I'm now working on the 2nd Quarter 2015 - Charts & News page, I hope to have it done before the end of the month. The Guide has added two new Bullion Affiliates: BitGold & Money Metals Exchange, both are quality businesses and I've thanked them for accepting my application to join their affiliate programs. One other thing I've done recently for the guide is that I started a FaceBook page. Although, I've never been much into Facebook, I've been posting on the page everyday. I hope that you will "share or like" the guide, so that more people will see it and I can earn more money to make the site better and to support Gold Nano-Particle Cancer Research. So, until next time, I wish you and your family good health and happiness. Hello, and Thank you for visiting the Guide. I hope you are enjoying your Summer. As you may or may not know, over the last several months I have been in contact with Dr. Steven Curley, who heads the research the Guide Sponsors at the Baylor College of Medicine and I've asking him if any new research papers had been published. *These articles are posted at the bottom of this page: here. In the paper, Dr. Curley's research team used Radio-Frequency Therapy to find out how radio-waves alter malignant and non-malignant cells in the Pancreas. They found in their experiments that radio-waves do alter the cells in ways that maybe beneficial if they had used another medium to kill the cells; i.e. : Gold Nano-Particles or Gene Vectors. In this research paper, they only experimented on how the RF (radio frequency) field effected the cells phenotype. *The BitGold Commission was less than what is posted above, however I read their affiliate payout wrong and posted that the amount for all donations would be $14.00, on the affiliates page (it has since been corrected). The amount of the commission was actually under $10.00 because BitGold pays affiliates in Canadian Dollars. The current Canadian Dollar to US Dollar rate is: $0.76 CDN to $1.00 USD. Since the last ledger entry, I tried to focus most of my work in getting the 2nd Quarter of 2015 - Bullion News & Charts page finished, which I did last week. I had hoped to get it done much sooner but every time I would start it, I would think about something else I wanted to do on the Guide, start that, then realize I need to finish the 2nd quarter page and get back to work on it again. I must had done that 3 or 4 times while working on the page. In the immediate future, I plan to do some extra work to the Johnson Matthey page, in consideration to their past relationship with P.R. Mallory company. A visitor to the site contacted me and asked me some questions about the relationship. To the best of my knowledge I answered his questions. But, I also informed him that I would add the information I gave him, in addition to any additional information I could find to the page. I'd like to add new coin pages over the next few months and add a whole new mint and coin series, if possible to the Guide. I will be working on that shortly after I post the Johnson Matthey / Mallory information. I don't know what bullion coins I will be adding to the Guide, but I will post the pages on the "Recent Guide Updates" right column as I post them. So, until next time, I hope you and your family are happy and healthy. I hope you and your family had a good summer, I want to Thank you for visiting the Guide and I hope you will continue to visit and support the Free Bullion Investment Guide in the future. I try to keep you updated in this portion of the ledger about any new information I've received from Dr. Curley. Dr. Curley heads the Cancer Research at the Baylor College of Medicine, that the Guide Sponsors to find a better way to treat cancer without harmful side-effects. But, Dr. Curley has been away for the last week, so I haven't received any new news from him. However, the Baylor College of Medicine has recently posted this video about Dr. Curley. I hope to be in contact with Dr. Curley sometime next week, if I get any new information about the research or any other news I will let you know on the homepage. *On 08/31/2015 - the Guide logged one sale from the Perth Mint. As of this date I do not know how much the Commission for this sale was. In addition, I will not know until the Perth Mint has confirmed the order. We have been told in the past by the Perth Mint that this process can take up to 60days, I will let you know on the next ledger entry any further information I receive on this order and its commission. The biggest thing I've been working on this month besides what has been posted under the "Recent Guide Updates" was the ribbon logo for the Guide. The ribbon to the left is what the guide has been using for the past several years. It was a stock photo that I purchased from dreamstime.com. I couldn't change it so I've always known its days were numbered. A little while ago, in the updates section of the ledger, I mentioned that I was working on a new ribbon, however, what I came up with at the time was not good, which is why I didn't share it. I've done graphical marketing in the past and have created logos for a couple of other firms, so I knew I just needed to get somethings behind me so I could focus better on what I wanted. I'm still playing around with different ideas and designs, so you will see many variations as time goes by and learn different Awareness months for Cancer Research. Last month, I also informed you that I was looking to add a new coin series and Central Bank or Mint, to the guide, in the near future. I want to let you know, I'm working on it, but I you will know how it goes, either way it works out. The Guide is no longer supporting Dr. Curley's research at the Baylor College of Medicine. "the Kanzius device will be used in combination with traditional chemotherapy to treat patients with pancreatic cancer,"
John Kanzius created the radio-wave machine to replace traditional chemotherapy treatments, not to assist them. You also state in the article that "using nanoparticles would make the approval process much longer, because they are treated as a drug by the Food & Drug Administration." I understand that to get FDA approval is not easy, but isn't that the reason why we do the hard things, because they aren't easy and it is worth more than the easy way out. I know that you are a fine doctor and I know that you give the best care to your patients, however due to these latest revelations I (or my website) cannot support your research any longer. On the next ledger entry on 10/11/2015, I will post Dr. Curley's response to this email (in full un-edited context). At that time, I will let you know on the direction of the guide's donations and where our support will be sent to in the future. Furthermore, since September is Childhood Cancer Awareness Month, our donation, for this month, will go to St. Jude's Children's Hospital. The Guide's October donation recipient will be announced on October 1st. Even though I do not agree with their advertising of using Bald Children, because chemotherapy causes baldness, not cancer. However, many families are helped by St. Judes that could not afford the care they receive their otherwise, and that is why at least half of the money that the guide raises in September will go to them. Over the next several days I will be revising pages that mention Dr. Curley, except what has been written on this ledger, below this announcement. Hello, and Thank You for visiting the Free Bullion Investment Guide and for reading this very important 43rd Ledger entry. Whether this is your first time visiting this site or if you are a regular visitor, I wanted to let you know that your support is greatly appreciated. As mentioned, this ledger entry is one of the most important ones I’ve ever written,it will not only inform you of how much this site is donating to help those battling the Cancer (this month), but why the Guide’s is no longer supporting Dr. Steven Curley and his cancer research at the Baylor College of Medicine in Houston, TX . On September 16th, after reading this article from GoErie.com, Kanzius Researchers Receive $9 million Grant for Human Trials, I realized that Dr. Curley’s research was going in a different direction than what I was led to believe and that I could no longer support his work. So after debating (with myself) for several hours on how I was going to address this, I wrote Dr. Curley the following email. After I sent the email, I decided not to post the GoErie article on my website or announce my decision to stop supporting Dr. Curley on the Guide’s homepage or this ledger page, until I had received a response from Dr. Curley. I had no idea how he would respond to my email and I didn’t want to pre-judge his response. Unfortunately, Dr. Curley’s response wasn’t exactly what I was expecting, but for full disclosure I think every individual who has supported this website and the dream of finding a better way to treat cancer deserves to read his email in full. Okay Steven. Might be a good idea to get more details first, and I am offended by your suggestion I am taking the easy way out. I have worked on this for 11 years, and it has not been easy. Our new findings show we can get excellent effects with very low doses of chemotherapy so the side effects usually associated with chemotherapy are avoided. We are still working on the nanoparticles, too, but with the path we are now taking I have the chance to get John’s ideas into clinical trials next year and if the results are positive, we can have approval to use the device for all patients within 3-4 years. At that point we can begin trials using the nanoparticles, also. Conversely, using the combined targeted nanoparticle approach with the RF now will require an estimated 8-10 years to get the device approved. Which route do you think makes more sense? Getting nanoparticle-based therapy into patients in 3-4 years versus 8-10 years? No need to answer, rhetorical question as I have no need for conditional support from naysayers and thoughtless individuals who don’t take the time to investigate issues thoroughly or who judge without considering all of the data and who don’t take the time to ask thorough questions to gain full understanding. For those of you who have read what I have written on this page or a few other pages where I thought I made a mistake, I am the first to apologize, some may say I apologize too often, however I'm not sorry for anything I wrote to Dr. Curley. After all, I only took his statements out of the article and referenced them in my email. I did mention that I believe he is taking the “easy way out” in his research, but if you please continue reading this ledger entry, you will understand the many reasons why I state this and why I will not take back what I said. Furthermore in the following paragraphs, I will make note of when Dr. Curley is correct in his email and when he is wrong, but throughout it all, I will only use his words and those of John Kanzius and representatives of the Kanzius Foundation. Note: Statements made by Dr. Curley will be posted in blue. I first want to state before I go on that Dr. Curley is fine oncology doctor and that he has saved many lives as a doctor. But, since he has falsely accused me of being one of the “thoughtless individuals who don’t take the time to investigate issues thoroughly or who judge without considering all of the data,” I will show you that he is taking the easier path and that I considered all the data before I emailed him. In the GoErie article, I referenced in my email, Dr. Curley doesn’t state that he will be using chemotherapy in "very low doses", instead he states the following: "the Kanzius device will be used in combination with traditional chemotherapy to treat patients with pancreatic cancer," said Steven Curley, M.D., the Kanzius project's lead researcher at the Baylor College of Medicine in Houston. Traditional chemotherapy is taking dose after dose of chemotherapy drugs for 2 to 6 weeks, to try to kill the cancerous tumors. What is Dr. Curley eluding to when he states "very low doses"? In addition, another question he should answer; Is what he stated in the email to me about "very low doses" the truth? or Did he tell GoErie.com the truth in his statement to them? Just for the record, before I go on, I don't care what his answers are, but he should stop giving contradictory statements to those who believe(d) in the Kanzius machine and the Cancer Research that was originally based around it using Gold Nano-Particles, not chemotherapy. For full disclosure purposes, Dr. Curley did state in this article from 2012, that the Kanzius device kills cancer without nanoparticles (article: Kanzius device kills cancer without nanoparticles http://www.goerie.com/kanzius-device-kills-cancer-without-nanoparticles). "Regardless of when human trials begin, they will likely focus on these new types of treatment that don't require nanoparticles," Curley said. "You have the machine and you have the nanoparticles, so you would have to go through a combined morbidity process for the FDA," Curley said. "On the other hand, it would likely be a lot easier to get just the device approved because the nanoparticles are considered a drug and that process is more difficult." I did not know that Dr. Curley made this statement in the past, until I found this article, weeks ago. But, this is the only article I have found where he states this before he reiterated it to me in his email. Furthermore, had I known this statement existed 2years ago and that he was going to take this "easier" way of getting to human trials with the Kanzius machine, I would have never have contacted him to follow his research, after the Kanzius Cancer Research Foundation closed. In Dr. Curley's email to me he references "3-4years" compared to "8-10years" about getting his research to human trials. As you continue to read and if you watch the videos I’ve posted in this ledger entry, you will hear many “Time-Goals” given, but sadly, they are never fulfilled. I have to admit, in the past, every time I've read about time-goals based on when Human Trials would begin, it made me feel good and gave me hope. Dr. Curley is guilty of giving time goals, John Kanzius was guilty of it, the representatives of the Kanzius Cancer Research Foundation were guilty of it and I was guilty of it when I wrote about the research. But after reading and hearing about these "Time Goals" so many times, and the time-goals keep getting pushed back, you realize that it's just a form of false hope. 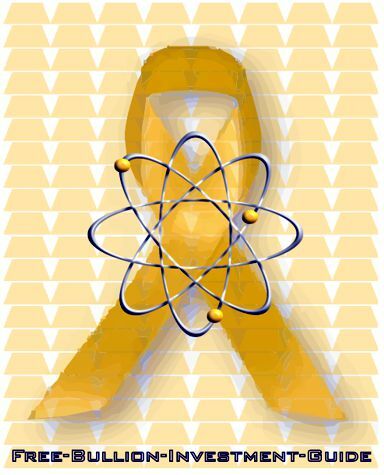 I believe that Gold Nano-Particles can become a breakthrough treatment for Cancer, but when that will happen is unknown. The best analogy I can offer in reference to "Time-Goals" for this Cancer Research, are the “Price Goals” that some financial pundit’s give for the price of gold. If you follow the gold market, you will often hear “price goals” of $5000, $7,000 or $10,000 for an ounce of gold. I'm not saying it isn't possible, but the thing these pundits can’t tell you is when these goals will happen. I apologize to you for relaying the false "time-goals" made by Kanzius Foundation representatives and Dr. Curley in articles about the Kanzius Radiowave, Gold Nano-Particle research to you. We are still working on the nanoparticles, too, but with the path we are now taking I have the chance to get John’s ideas into clinical trials next year and if the results are positive, we can have approval to use the device for all patients within 3-4 years. For Dr. Curley to state, the phrase, that he is taking, "John's ideas into clinical trials" is false. "John's ideas" were to use his machine without chemotherapy. The article was written by Mark Neidig, the former Senior Director of the Kanzius Cancer Research Foundation, in it he explains how the Kanzius machine was meant to be used without chemotherapy. "Over the past six years, research teams at M.D. Anderson, University of Pittsburgh Medical Center and University of California-Davis have been investigating the idea of John Kanzius to treat cancer non-invasively and without surgery so patients would not have to endure the debilitating side effects associated with traditional chemotherapy and radiation therapy treatments. The video below also shows what John Kanzius's ideas were for his radio-wave machine and how he wanted it to be used. The video above was submitted in 2012, by the Kanzius Cancer Research Foundation, to the Lester Smith Pink Well Challenge. The video gives you brief glimpse into how there should be a better way to treat cancer. They jointly won the challenge with the Susan G. Kowen Centre and both received $50,000. "We are still working on the nanoparticles, too, but with the path we are now taking I have the chance to get John’s ideas into clinical trials next year and if the results are positive, we can have approval to use the device for all patients within 3-4 years. At that point we can begin trials using the nanoparticles, also. Conversely, using the combined targeted nanoparticle approach with the RF now will require an estimated 8-10 years to get the device approved"
The two articles are about the same $9 million dollar grant Dr. Curley was awarded, but the statements made by Dr. Curley in Houston Style Magazine article contradicts what he stated in the GoErie article and his email to me. The author of the article states: "Curley and his research team will study radiofrequency energy to treat cancer alone or in combination with drugs and treatment-enhancing agents such as nanoparticles." Nowhere in the Houston Style Magazine article does Dr. Curley state using chemotherapy. "We have found fascinating things with the (device's radio-frequency) field in terms of improving the ability of delivering chemotherapy," Curley said. "Also, using nanoparticles would make the approval process much longer, because they are treated as a drug by the Food & Drug Administration." In conclusion to my investigation into statements made by Dr. Curley, I want to show you this last video. It is from 60 Minutes and to my knowledge it is the last known Interview with John Kanzius, the inventor of the Kanzius Machine, before he died. In the video, you will see that he used himself as a human guinea pig for his machine, in conjunction with chemotherapy and you will see the results. The video proves that Gold Nano-Particles are a positive future treatment for Cancer Treatment, not chemotherapy. I believe you deserve the truth and after bringing all this information together for you, I hope that you can understand why I made my decision to stop supporting Dr. Curley and his research. The guide has a few new missions, the first is the same and the second isn’t that much different from its origins, but who the guide is supporting, has completely changed. First Mission: is to give you the latest news and un-biased information about the Physical Bullion Market. Second Mission: is to bring attention and awareness of how Gold Nano-Particles may change the way we treat cancer in the future. Third Mission: is to help individuals and families who are currently battling cancer. The guide does this by giving at least 50% of the revenue it receives through sponsorship fees, donations and affiliate commissions. In the 9/17/2015 Announcement, below this 43rd ledger entry, I posted that our support for September 2015, would change from supporting Dr. Curley’s research to St. Judes Children’s Hospital. I did this because, the biggest reason I am supporting Cancer Research with through the guide is because of a graveside promise I made to a childhood friend who died of cancer. The other reason I did this was because St. Judes Children’s Hospital is known throughout the world for helping children with cancer and that they never turn a child away, whether their parents can afford the treatment or not. The support for October, which is Breast Cancer Awareness Month, will go to the Shirley Mae Breast Cancer Assistance Fund. There are two reasons why I chose this Fund to support for October. The first being the Shirley Mae Breast Cancer Assistance Fund offers free assistance to breast cancer patients for medications, prosthesis, wigs and other related items, in Southern New Jersey. The fact that they only help women in Southern New Jersey had no influence on me, because it doesn’t matter where the person lives who needs the help, just that they get it. Furthermore, in the future, the Guide will only support funds like this that are all volunteer and give 100% of its donations to help those battling cancer. I became aware of these types of cancer funds from one just like this in my local area, but it gives to individuals dealing with all forms of cancer and disease. It is called the Patty Pollatos fund and they also give 100% of all donations to its individual recipients. 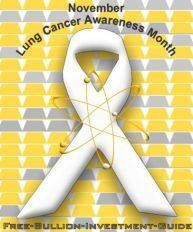 November is Lung Cancer Awareness Month and I hope I will find a fund for Lung Cancer, like the Shirley Mae Breast Cancer Fund or the Patty Pollatos fund to support for November that gives 100% of all donations to individuals battling Lung Cancer. If I don’t find a fund like these for Lung Cancer, the Guide will support an individual battling Lung Cancer through the Patty Pollotos fund. A notification of who the Guide will Support will be made on November 1st, under the Awareness Ribbon found on the upper right side of every page on the Guide. I also wanted to let you know that there are three months in the year that are not a Cancer Awareness Month, those are June, August and December. For these months the guide will make its donations to St. Judes Children’s hospital. *On 08/31/2015 - the Guide logged one sale from the Perth Mint. The sale was confirmed by the Perth Mint after the date of the last ledger entry, which was made on 9/11/2015. This is the reason why it is being added in this months ledger instead of last months. *Concerning sales commissions received through the Perth Mint, the guide is told when the sale is made, but until the Perth Mint Confirms the sale the guide is unaware of the amount of the commission. Who do our donations go to? Almost every month is a Cancer Awareness Month for different type of Cancer. 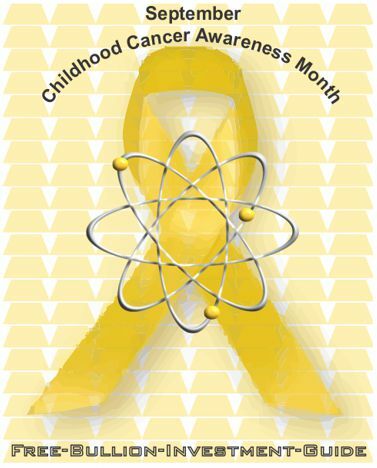 For instance, September is Childhood Cancer Awareness Month, October is Breast Cancer Awareness Month, etc. Funds like the Shirley Mae Breast Cancer Awareness Fund are 100% volunteer and give 100% of its donations to help individuals who are battling the disease. The only exception that the guide will make to a non-volunteer foundation, will be when it donates to St. Judes Children’s Hospital. The first thing I wanted to let you know about is something I've been talking about for awhile. About two months ago, I wrote in this section of the 41st ledger updates that I was hoping to add another bullion coin series and Mint and or Central Bank to the Guide. The bullion coin was the Armenian Noah's Arch silver bullion coin, however my attempts to contact the mint who produces these coins, Geiger Edelmetalle. I have tried several time to email them and call them but I've gotten no human response to my emails and have only reached the message machine when calling them. Furthermore, a contributing author of many coin books has also helped me in this effort, but he has also come up empty. So I am going to focus my efforts on coins adding coins to the Mints/Central Banks that I already have posted on the guide. However, due to the fact that I will be immediately working on a Donations page, after this ledger is posted, and the 3rd quarter of 2015 - charts and bullion news page after that, these new coin pages won't start to show up on the guide until November. I wanted to quickly let you know that I will be posting a new donations page, one thing I eluded to in the main ledger entry above is that I plan to add a Reward to Donations. I'm not sure how it will all work out yet, but it may work out something like this: for every 5 or 10 donations made worth $10 or more will receive a ounce of silver. To clarify, this doesn't mean you have to make 5 or 10 donations yourself to receive a ounce of silver, but lets say you make a donation, then joe, then mike, then cindy, then rick makes a donation. Rick would receive the reward and so on. I hope to have the donations page up before the end of this week, but the donation rewards will not start until November 1st. Lastly, all this past month I've been working on two Amazon stores for the Guide, which I hope will also help us raise funds. One of the stores is directed towards the Bullion Market and the other is directed towards Cancer Fighters and Survivors. I hope to have those two stores up with in the next week as well. Until next time, I hope you and your family are happy and healthy. Hello, and Thank you for visiting the Guide. First, on this Veteran's Day I'd like to start this ledger by Thanking every Veteran for their service. I'd like to briefly tell you about who the Guide is supporting for its November donation. November is Lung Cancer Awareness Month and this month the guide is donating to Nayeli Becerra and her Family through a GoFundMe page that her friend Jany started for her. In an email, Jany told me that her friend has been battling Lung Cancer since she was 16, she's now 23 and a Cancer Warrior. Whether you choose to help through a donation or using an affiliate or not, please visit Nayeli's GoFundMe page...here and give her some financial help so she can overcome this battle. For instance, October is Breast Cancer Awareness Month and November is Lung Cancer Awareness Month, etc. The Shirley Mae Breast Cancer Awareness Fund is a 100% volunteer and they give 100% of its donations to help individuals who are battling the disease. You can learn more about how you can help support the guide by going to the affiliates page or the donations page. I'm currently trying to get over the Flu, so that is why I haven't posted the 3rd Quarter of 2015 page yet. So I hope to have the page posted by next week. I stated in the last ledger entry that I would be posting a donations page and a donations rewards page, you can click the links or the links on the Updates section on the "right column" to see these pages. I also stated in the last ledger entry that I want to give 100% of gross income to help those with cancer, but that I currently can't give 100%. To explain why I can't currently give 100%, I'll post an 'about me' page, then I hope you'll understand. Sometime before the next ledger entry, I'll post it and show it under "Recent Guide Updates" on the right column and it will be on the Nav Bar under "About the Guide" heading. I also have other updates planned for this month and in the months to come, I'll post all new pages and major updates on the right column. Until next time, I wish you and your family a Happy Thanksgiving! Hello and Thank You for visiting the Free Bullion Investment Guide. I hope you had a Happy Thanksgiving and I hope you are well. On this Ledger Entry, I am going to share with you the messages that I shared with Nayeli Beccera on December 1st. Nayeli is the young woman suffering from Lung Cancer that the Guide donated to for this Months Ledger. I wanted to let you know that I will be making your donation from the Free Bullion Investment Guide to your GoFundMe page on the 11th of December. Currently, my website is not getting as much traffic as I wish it was and because of this the donation will probably not come very close to reaching your friends goal of $5000.00. However, I haven't checked with all my affiliate accounts yet, so I don't really know how much the guide made last month. I wanted to let you know that I am praying for you and I know that you will beat this disease, I can see it in your eyes. I wish you and your family all the best in the future and I will keep your GoFundMe page posted in the numerous places it has been posted on my website (donations, affiliate and ledger pages) in the hopes that others will see the fighting spirit in your eyes as well and help you out. First off I want to thank you for what you're doing to help me out, it really means a lot to me and my little family. We are complete strangers and yet you have a kind heart. My self as well as my family thank you a billion times:) Don't worry about not making the goal, whatever it is it's a win. Also Thank you for your prayers, currently I have the news that it has spread to my liver, spine and possibly my neck. Thank You for your kind words and even though I don't know you doesn't mean you aren't worth any-ones help, even from a stranger. I'm sorry to hear of your latest news, I recently read that one way individuals have beaten cancer is by keeping the will to fight in their hearts and by never believing that this disease will beat them. You will beat this, keep fighting. Who does the Free Bullion Investment Guide donate to? For instance, October is Breast Cancer Awareness Month and January is Cervical Cancer Awareness Month, etc. The only donation exception that the guide will make to an individual or family will be when it donates to St. Judes Children’s Hospital. On the last updates section I informed you that I would post an 'About' page before the new ledger announcement would be posted. Well, you're not blind, I haven't posted it yet, I started it after I posted the last ledger. But, I then posted a new Affiliates Discounts page, a page I've been wanting to post for several months. On this page, you will find discounts from several of the Free Bullion Investment Guide's affiliates, some of these discounts are only available through the retailer's affiliates. I am almost done the 'About' page, I hope to have it up by Sunday or Monday (12/13 or 12/14). I want to be completely honest with anyone who comes to this site so that you know who I am and why I am doing what I am doing. After I post the 'About' page, I will redo the Chinese Bullion Coin pages, for the new 2016 gold and silver pandas. I will be integrating the old with the new pandas, much like I did for the Series I and Series II Australian Lunar Bullion Coins. Until next time, I wish you and your family a Merry Christmas & Happy New Year! I hope you and your family had a Merry Christmas and a Happy New Year and I hope that you are well. I'm late posting this entry because I was speaking with a friend on the phone, so I apologize for not posting this earlier. I would like to tell you a little about Mrs. Danielle Van, she is the Free Bullion Investment Guide's - January Sponsor, who is currently battling Cervical Cancer. She is a young woman with two beautiful children and a good husband. When I read her GoFundMe page, I could hear the frustration coming out in the words she put on her page. She clearly wants to live her life, just like the rest of us, without dealing with this disease and to be honest with you, you or I would sound the same way if we found out we had Cancer. This disease should be easier to treat, and there is something wrong with the fact that we haven't found that solution yet. 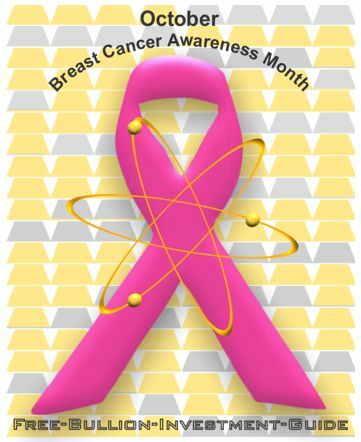 Almost every month is a Cancer Awareness Month for a different type of Cancer. The only donation exception that the guide makes is when there is no Cancer Awareness Month. These months are December, June, and August, on these months the Guide donates to St. Judes Children’s Hospital. For January - The Guide is supporting Mrs. Danielle Van for Cervical Cancer Awareness Month. In the last updates section of the Ledger, I let you know that I was close to posting an "About" page, It was posted on the 15th. I tried to be as honest with you as possible on it, and I can tell you that I reveal a lot about myself on it, more than what some of my closest friends know about me. As for updates that haven't been posted yet on the right side column (of every page) under the title "Recent Guide Updates." First, I've been updating the Gold and Silver Chinese Panda Bullion Coin pages. So far, I have completed the 1gram, 3gram and 8gram coin pages. I was having some issues with how I was going to update them, I thought about creating new pages for them but I decided not to. So I integrated them into the 1/20oz, 1/10oz, and 1/4oz pages, you will see what I'm talking about if you click the links. I should have the larger Gold and Silver Pandas finished by the end of the week. Another addition, that I haven't added to the guide yet, is a new Tumblr Blog, seen here: BullionGuide/TumblrBlog. I will be adding this blog to the Guide soon, however, the page that will be on the guide, will only have blog posts on it that come from me, the page on Tumblr will have other linked pages, will have outside links posted to it as well. To my knowledge, you won't need to be a member of Tumblr to read these posts, but if you wish to follow the Guide's Blog, you will need to sign up with Tumblr, which is absolutely free. After I get done updating the Chinese pages, I intend to start working on the 4th Quarter of 2015 page. I hope to have it done soon as well. So Until next time, I hope you and your family Happy and Healthy. I hope you and your family are having a Happy New Year and I hope that you are well. On the last ledger entry, I introduced you to Mrs. Danielle Van, she is the woman who the Guide Sponsored for Cervical Cancer Awareness Month - January. She had surgery on January 12th and she informed me that it went well, but her battle is not over. If you click her linked name, in the prior sentence, you can read her own words and understand that she is a fighter and perhaps you can send her some monetary hope. February is Gall Bladder & Bile Duct Cancer Awareness Month and I'd like to introduce you to Mrs. Maxine Chadwick, she has been diagnosed with Stage 4 (Terminal) Bile Duct Cancer. On top of that, on December 26th, a tornado wiped out nearly every home on their street. They survived with some damage to their home and little injury. Her relative Sabrina Klomp has informed me that Maxine is very frail and weighs under 100lbs, she cannot eat whole foods and receives her daily nutrition through an IV. Her medical bills are mounting and her family receives public assistance to get by, every little bit helps and I hope that you will either help her directly by going to her GiveForward page 'here' or by supporting the guide through our affiliates or through a direct donation. As of January 31st, through your help by choosing to do business with one of the Free Bullion Investment Guide's Affiliates, the Guide's gross income for January 2016, was $80.00. For instance, January is Cervical Cancer Awareness Month and February is Gallbladder & Bile Duct Cancer Awareness Month, etc. February's Donation - The Guide is supporting Mrs. Maxine Chadwick for Gall Bladder & Bile Duct Awareness Month. Last month, I posted the updated pages for the Gold and Silver Chinese Panda bullion coins. I had hoped to get the panda coin pages done sooner, but I wasn't happy with my original work, so I basically threw away the work I had done and started over. This pushed back completing the pages another week. Currently, I am in the middle of writing the 4th quarter of 2015 page, I hope to have it done before the end of the month. I have also gotten a new editor (software) so I am working on getting rid of my misspellings and my grammatical errors on each page. As I am doing this I am checking all the links to make sure that there are no dead links on any pages. (A dead link is a link that you click and either nothing happens or you go to a different destination than the one you wanted. So far I've gotten done only 20 pages, I hope to have most of the guide's 200 pages done by 3/11. I am working on several other projects for the guide, I will inform you about them, in this section of the ledger, as they happen. Until next time, I wish you and your family Good Health and Happiness! Hello, and Thanks for visiting the ledger page of the guide to see how much it was able to give its February sponsor Mrs. Maxine Chadwick. I would also like to Thank you for every visit you make to the guide, whether it is to help our mission by purchasing items from one of our affiliates, or for just seeing what's the latest bullion news or for reference purposes; Every visit is greatly appreciated. A few hours ago, I made the guide's latest donation to Maxine Chadwick's GiveForward page. If you click her name you'll visit her GiveForward page and see two Steven Warrenfeltz's under her 'Support Activity' part of the page; they are both me. On the 43rd ledger entry, when I announced I was changing my support from Dr. Curely's research to help those who are battling cancer, I informed you that the Guide is a Sole Proprietorship. Because of this, the credit card that I make my donations from are in my name, which is why you see my name (Steven E. Warrenfeltz) under the donations for the guide instead of the name of the guide. The reason why you see two names under the 'Support Activity" section is because I unknowingly created two accounts and GiveForward.com has informed me that the extra one cannot be removed. From this day forward the Guide's cancer ribbon logo will be beside my name on the GiveForward website when the guide is giving support to an individual and it will show up beside my name when a donation is given. I think I've written enough on this section of the ledger, so after your read about February's donation, please read the 48th Ledger Announcement's and updates so I can introduce you to Mr. Jeffrey E Barnes and update you on Mrs. Maxine Chadwick. As of February 29th, through your help by choosing to do business with one of the Free Bullion Investment Guide's Affiliates, the Guide's gross income for February 2016, was $205.00. Who does the Guide donate to? For instance, February was Gallbladder & Bile Duct Cancer Awareness Month and March is Colorectal Cancer Awareness Month. The only donation exception is when there is no Cancer Awareness Month. These months are December, June, and August, on these months the Guide donates to St. Judes Children’s Hospital. March's Donation - The Guide is supporting Mr. Jeffrey E. Barnes for Colorectal Cancer Awareness Month. I usually write about updates to the guide in this section of the ledger, but I'd rather tell you about our sponsor for the Month of March and I want to give you an update about our February Sponsor. March is Colorectal Cancer Awareness Month and the guide is sponsoring Mr. Jeffrey E. Barnes who is currently battling this cancer. Although nobody wants to have their face next to any cancer, I believe Mr. Barnes face and name will be on the list of those who won his battle to beat cancer. Mr. Barnes is a fighter and has been battling cancer for the last two years. His wife, family and friends have given him a lot of support, all you have to do is read his page to learn how his town supported him and raised funds to help him win his battle. In addition, if you move your mouse up to the left of the amount raised, you will be able to see the many photos of family and friends. Please give however you can to help him and his family produce more photos to show those of us the reasons why we have fighters who win these battles. One of the things about Mr. Barnes's GiveForward page that stood out to me is how updated it is. Mrs. Barnes keeps her friends and family updated on how Mr. Barnes is fighting his battle; which in turn gives those who donate more reasons to give. In my last email to Sabrina Klomp (02/29/2016), the relative who set up Maxine Chadwick's account (the guide's February Sponsor) I told her that, of all the pages that I've visited of those who are battling cancer, it was the ones that kept the fundraiser's page updated that had received the most funds. And until next time, I wish you and your family, Good Health and Happiness!